Climbs throughout Alaska, Canada, New Zealand, France and western U.S. Climbing and skiing on the south island of New Zealand including a new route on S. face Mt. Aspiring. 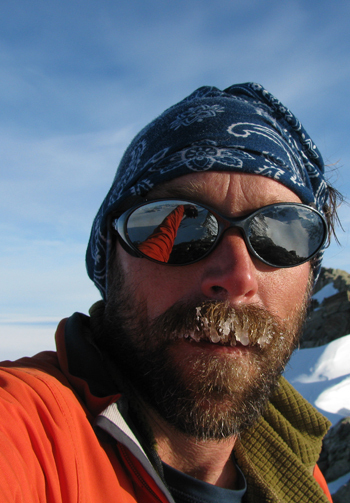 Worked as a volunteer ranger at 14,000 ft. on Denali in 1998, climbed the north face of Mount Robson in Canada, skied from the summit of Mount Blanc in France, climbed the North American wall on El Capitan in Yosemite, and many climbs on the sandstone of southern Utah, including ascents of over 50 desert towers. As an elite Snowcat operator (32 years experience), Mike has worked on three continents including Antarctica where he made the first ascent of Mount Rossman. Mike spends his winters in Park City, Utah working for Deer Valley ski resort as a groomer, ice climbing frozen waterfalls, skiing powder and teaching avalanche courses (AAA certified instructor).